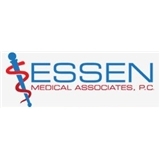 Essen Medical Associates, P.C. (Bronx) - Book Appointment Online! I was very pleased, staff professional and courtiess. I think She was very professional and I left her office feeling well informed. He is very thorough and extremely friendly. Even though the office was running behind schedule, he still took the time to explain everything to me in detail. This practice sees patients at 22 locations.